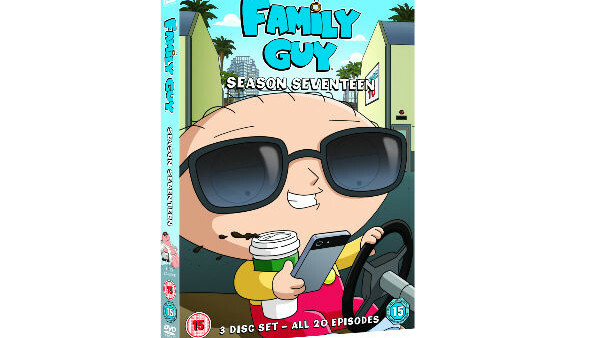 To celebrate the release of Family Guy Season 17, available now on DVD, we are giving 5 lucky readers the chance to win a copy on DVD. Celebrate laughter, lunacy and all that jazz with this outrageous collection of 20 Family Guy episodes (16 are totally uncensored, but the other 4 are still ridiculously funny), in which Peter gets into a sackful of trouble as a mall Santa, Quagmire becomes a giggity gigolo, Stewie and Brian run a bed-and-breakfast brothel and the cast takes a novel approach to re-enacting American literary classics. It’s a freakin’ hilarious complete season, featuring celebrity guest voices Rob Gronkowski, Flea, Stephen Curry and many more! To enter this competition, simply submit your name and address details to contest@whatculture.com, remembering to quote 'Family Guy S17' in the subject line.